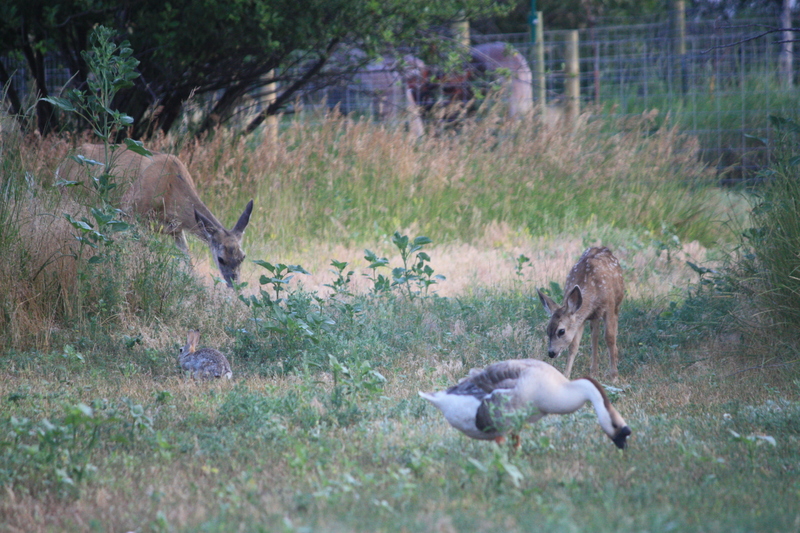 An idyllic scene comprised of a doe deer, a fawn, a cotton tail rabbit and a goose living in harmony as they tend to the business of getting breakfast. Too bad I didn’t have video capability, as shortly after this photo, the goose stretched to flap his wings, the fawn jumped into the air, scaring the rabbit, who ran between the legs of the doe and startled her into a leap and hasty retreat. Tranquility wrecked by a goose stretch! Lonesome George skirts the area, always keeping his distance from the house and outbuildings. 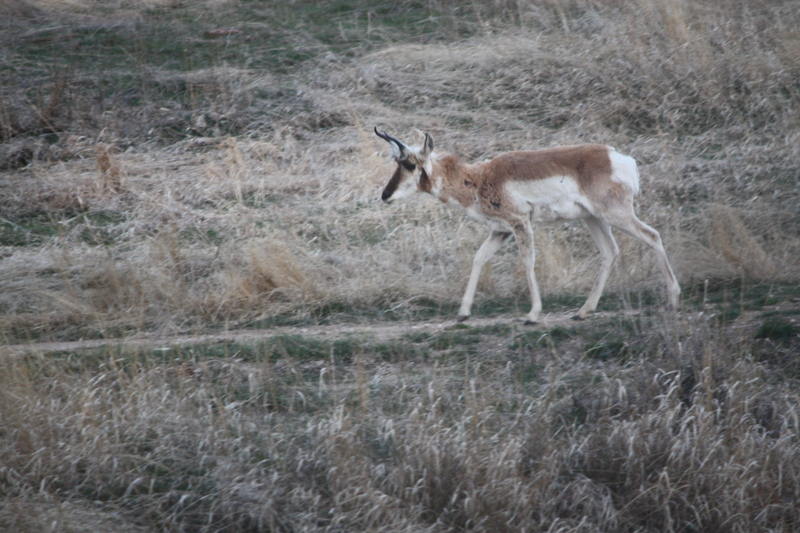 He looks a little rough from battling the elements and competing with other buck antelope for feminine favors. Looks like the morning is off to a good start! This entry was posted in Wildlife blog and tagged deer and antelope by bygeorge. Bookmark the permalink. Ahhhhh, life in the country!